President Trump raised eyebrows on Friday with a tweet declaring that he would be withdrawing "additional large scale Sanctions" on North Korea, which he said had been announced earlier in the day by the Treasury Department. Between the lines: It's unclear what exactly Trump is talking about, though Treasury did announce sanctions yesterday on 2 shipping companies it said had attempted to evade North Korea sanctions. Per Fox News' John Roberts, the sanctions Trump said he is withdrawing are not in reference to the 2 shipping companies, but instead are referencing "new large-scale sanctions that were about to be announced by Treasury." 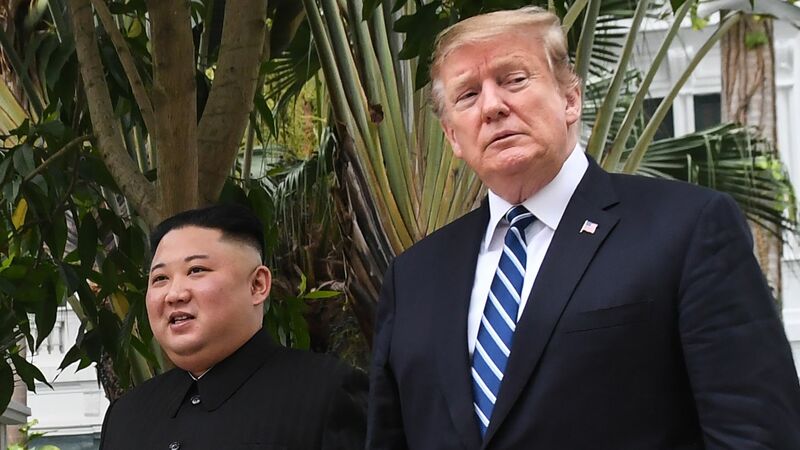 White House Press Secretary Sarah Sanders told reporters the decision was made because "President Trump likes Chairman Kim and he doesn’t think these sanctions will be necessary." Editor's note: This post has been updated with a Fox News report.